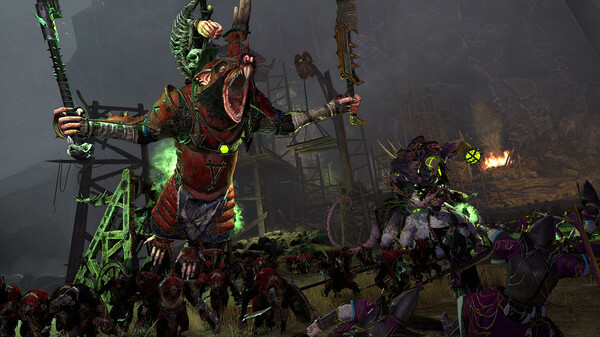 Feral Interactive announced today in their newsletter that the Linux port Total War: WARHAMMER II will be available in 'early Autumn'. The New World beckons! We are aiming to release Total War: WARHAMMER II for macOS and Linux in early Autumn. This would make Feral's third Linux port this year after Total War Saga: Thrones of Britannia and Rise of the Tomb Raider. We still have Life is Strange: Before the Storm to come as well. Hopefully more to keep Linux gamers satisfied! Sadly, it looks like we're not getting a Linux port of LEGO Marvel Super Heroes 2, as it was announced only for Mac. If you want to see it on Linux, might be worth letting them know on Twitter. This will be a day one purchase for me, it's Warhammer! They promised Life is Strange: Before the Storm this spring, so "early Autumn" probably means "early Autumn, 2019" in terms of Feral time. Total War is a great series, and by the number of GNU/Linux releases is a profitable one. And the Warhammer ones are great. One thing to keep in mind about porting games is that profit is a net thing--sales minus expenses. These Total War games have an engine and probably a bunch of other stuff in common. When you've ported a couple, porting the next one must be way easier and faster and cheaper, because you can re-use a bunch of your work. So why on earth would they skip any if there's a decent chance of sales? If they have any sense, at this point they will just port every Total War that comes out. And since we want Feral to continue doing well, and since doing a Total War game probably only has an opportunity cost of maybe a third of a different kind of game (because it's so quick and easy to do), I'm getting kind of tired of so many people whining about them taking their guaranteed revenue. Anders1232 Total War is a great series, and by the number of GNU/Linux releases is a profitable one. And the Warhammer ones are great. I am still studying it to get it right.